Why do you crave food when you are pregnant? The summer wedding season is on full swing and is a wonderful moment to catch up with old friends. At a recent wedding we couldn’t help but notice the number of pregnant women and new moms. Perhaps not so surprising given our age cohort…but it’s still very exciting all the same. Inevitably the sharing of stories led to a funny discussion on cravings during pregnancy. In some ways the images we have in our minds from popular media hold true when it comes to pregnant women craving food. One woman couldn’t get enough meat, while another wanted endless amounts of candy. Others had aversions to foods they once considered a staple in their diet. Beyond the laughs and cringing, it was evident that the pattern of cravings (i.e. stage of pregnancy and type of food) were unique to each woman. 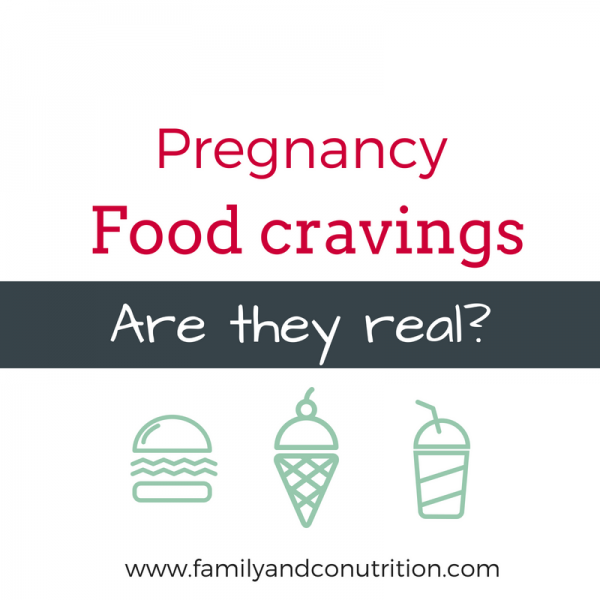 It seems like most pregnant women experience cravings at one point during pregnancy! There are some common beliefs regarding pregnancy cravings. First off, are they even real? Then, do women crave only salty and high-fat foods? Or do they crave foods that contain nutrients they are deficient in? 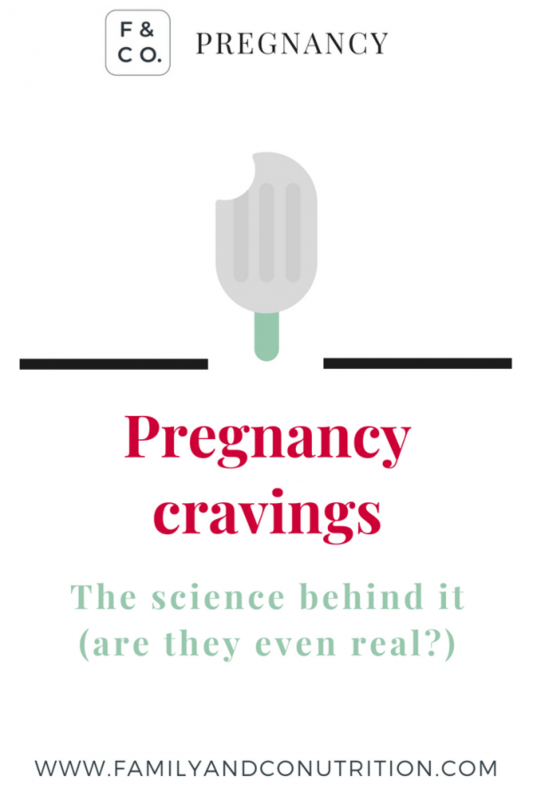 It sparked a thought on whether there is a deeper science behind pregnancy cravings. Pregnancy cravings are a real thing! 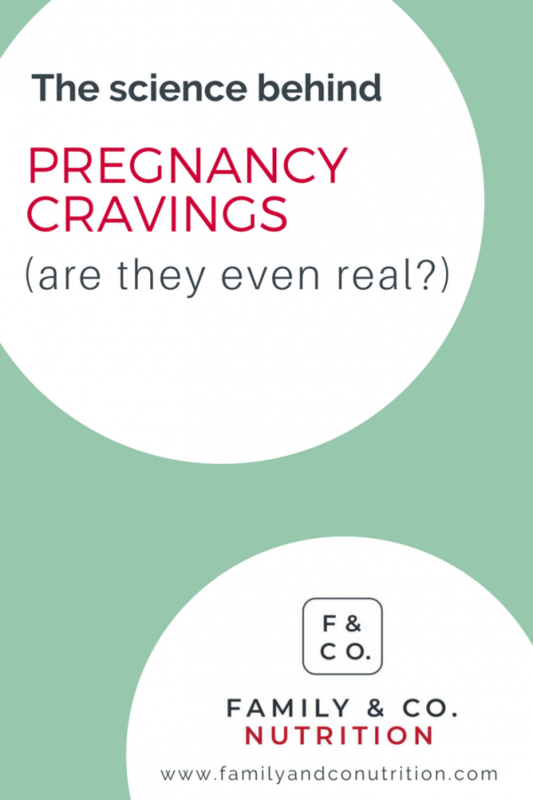 Let’s address this head on: pregnant women having food cravings is a real thing! In general, food cravings tend to emerge by the end of the first trimester. One study found that up to 76% of women in the U.S. experience food cravings by the 13th week of pregnancy. Food cravings peak both in frequency and intensity during the second trimester, and significantly decline towards term and following delivery. What kind of foods are women craving during pregnancy? Pickles? Ice cream? Check out this table below of the most common cravings based on scientific research. Ice cream was in the top, while pickles didn’t make the cut! 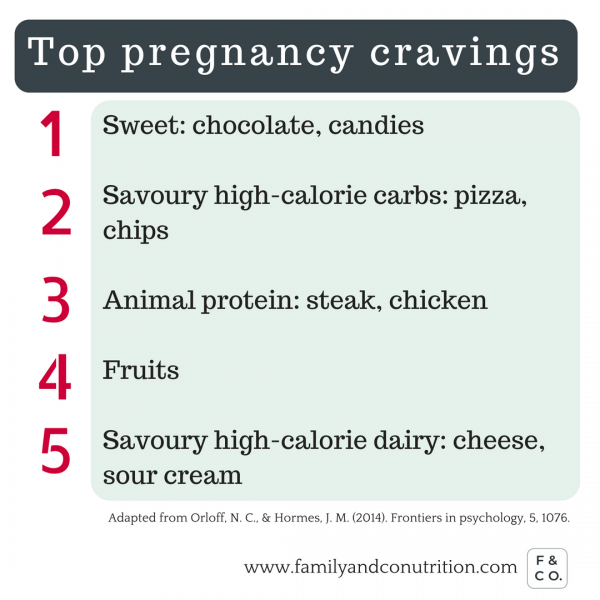 The next time you talk about pregnancy cravings with a friend, see if you catch any of these trends! Pregnancy cravings are complex, so what drives them to happen? Especially when considering the unique patterns of specific cravings at certain stages, why do they happen when they happen? Science suggests 4 possible explanations. It was first assumed that the simple change in oestrogen and progesterone, 2 hormones involved in pregnancy, was causing the cravings. It seems like that isn’t exactly the case. Rather, it is possible that the hormonal change pregnant women experience would cause changes in sensory perception, and THAT could be the cause of the cravings. In one study, 26% of women reported noticing changes in taste, while over 65% found changes in smell sensitivity. In other words, how pregnant women perceive the taste, smell, texture, etc. of food changes. This could serve to protect expecting mothers and their fetuses, by discouraging the mother to eat potentially toxic foods during pregnancy. Fluctuating hormones may change pregnant women’s sensory perception, leading to food cravings. But this would mean that all pregnant women would crave dark green leafy vegetables, legumes and lentils which are super rich sources of these nutrients. And on top of that, as the fetus grows, logically the nutrient needs would increase, leading to more intense and frequent cravings. Yet, that is not what the majority of pregnant women seem to experience! Most studies found sweets, high-fat foods, and fast foods to be the most craved food categories during pregnancy. Although some women do crave potentially beneficial fruits, vegetables, and proteins, they tend to rank far lower on the list of cravings. So that dispels the common myth that “You are craving foods that contain nutrients your body needs”. 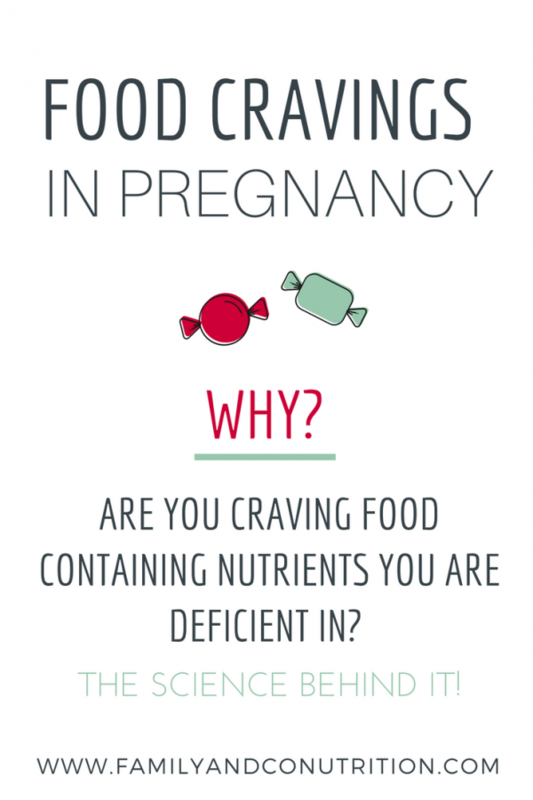 Current evidence doesn’t support a link between nutritional deficits and pregnancy cravings. 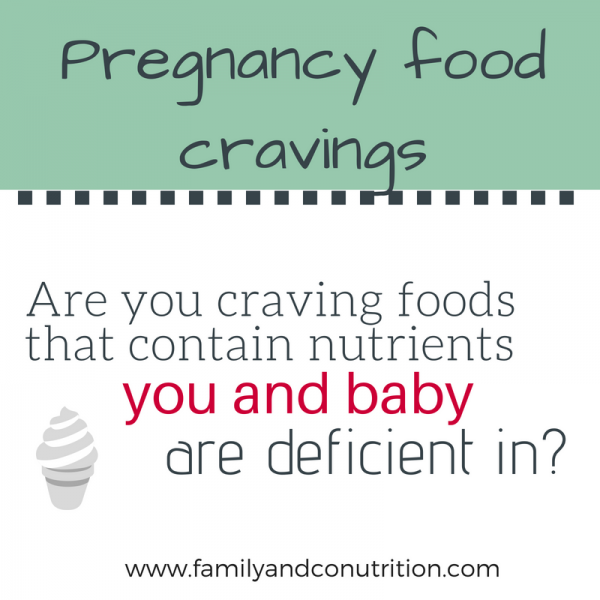 No, you are not cravings foods that contain nutrients your body and baby need. A classic example of cravings that would be due to specific molecules in food is the craving for chocolate around a woman’s menstruation time. 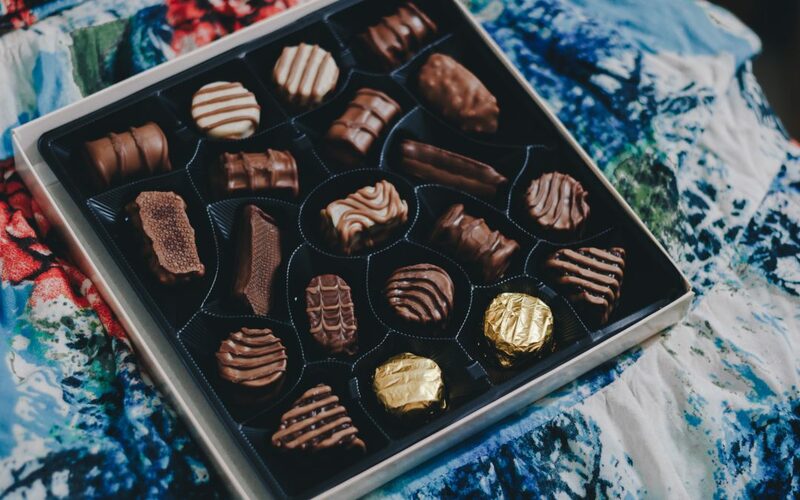 It was thought that a group of compounds called “methylxanthines” which include caffeine, led to increased chocolate cravings to help alleviate unpleasant physical and psychological symptoms. That sounds reasonable enough right? Well some researchers considered the amount of caffeine (and other active ingredients) in a typical serving of chocolate were skeptical it would be enough to provide much noticeable effect. So they tested it out! Which one was best at satisfying cravings? The white chocolate, without all the active ingredients. It points to an important role of the taste sensory experience in satisfying cravings, as opposed to active chemical compounds! Allowing yourself to fully enjoy the food that you crave is super important in satisfying your cravings. This idea reminds us that culture does influence food cravings, and data backs it up. For example, lets consider chocolate cravings more broadly. In the U.S., chocolate is the most craved food, whereas in countries like Egypt, hardly anyone craves it. And in Japan, the most widely craved food by women is rice! This is a nod to the influence culinary tradition has on food cravings, and just how diverse they can be. Data from countries around the world confirm that women experience similar patterns of aversions and cravings over the course of pregnancy. So even though biologically, women experience similar symptoms and behaviors, culture plays a huge factor on the specific foods that they crave! Not pregnant women from all countries have sweet or indulgent foods at the top of their cravings list! Are cravings bad for pregnancy? In itself, no! You should eat what you are craving when you are craving it. Mostly, you should make sure to appreciate the moment, whatever the food you crave is! The down side is that pregnancy cravings can be linked to excess gestational weight gain, which presents added health risks to both mama and baby. Weight management is complex, and weight gain is expected and healthy during pregnancy. But gaining too much (or too little) comes with some risks. Ignoring your cravings won’t make them go away! So should I indulge in my cravings? We are not too much about “indulging” rather than honouring your cravings. It’s all about frequency and quantity. Not one single food or meal will ever make it or break it. It’s about the overall pattern of your food intake. Are your cravings taking over your balanced meals? Do they lead you to eat more than you are hungry for? Do they make you choose too often foods that are highly transformed? If you feel like you have cravings too often, or that the rest of your food habits are not as you’d like, a registered dietitian can help you. 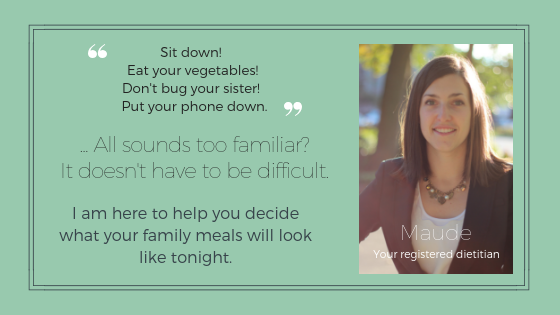 Pregnancy can be a good time for some women to adopt healthy food habits, but it can also be an overwhelming moment in life for others. A dietitian can guide you with your expectations regarding nutrition, weight gain and body changes at this very special moment of your life! During pregnancy, eat twice as healthy, not twice as much! Weigel, M. M., Coe, K., Castro, N. P., Caiza, M. E., Tello, N., & Reyes, M. (2011). Food aversions and cravings during early pregnancy: association with nausea and vomiting. Ecology of food and nutrition, 50(3), 197-214. Weingarten, H. P., & Elston, D. (1990). The phenomenology of food cravings. Appetite, 15(3), 231-246.